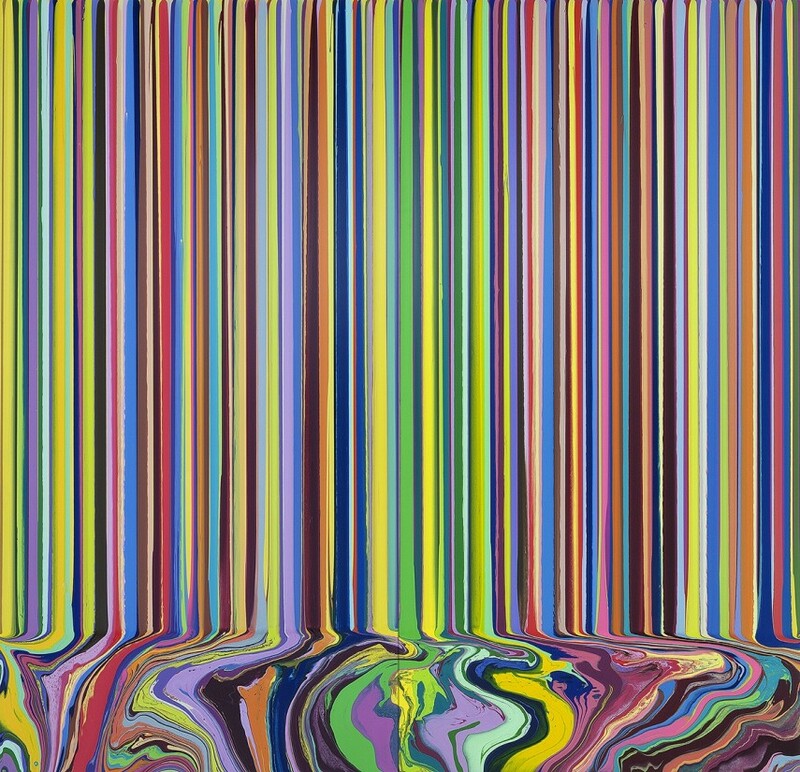 One could say that, in more than one sense, Ian Davenport’s striped paintings are modern variations on classical themes. He greatly admires the Old Masters and the great Modernists alike, from Hans Holbein the Younger to Cézanne, and it is their colour palettes in particular, that interest him because, in his opinion, their ranges of colours work well together even though they should not. To find out exactly what palettes those artists used, Davenport has analysed digital versions of their works on the computer. Regardless of whether or not the painters or their works are famous, he is interested in the way their colours interact. In a lengthy process, Davenport then composes his own piece by orchestrating the palette of a historic painting in a new, vibrant and vivid pattern of stripes.